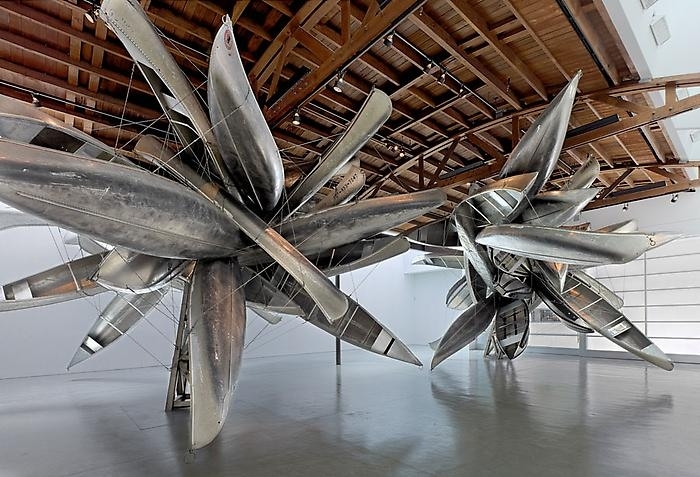 Nancy Rubins transforms industrial, manufactured objects—such as mattresses, appliances, boats—into the building blocks of her physically commanding monumental sculptures. 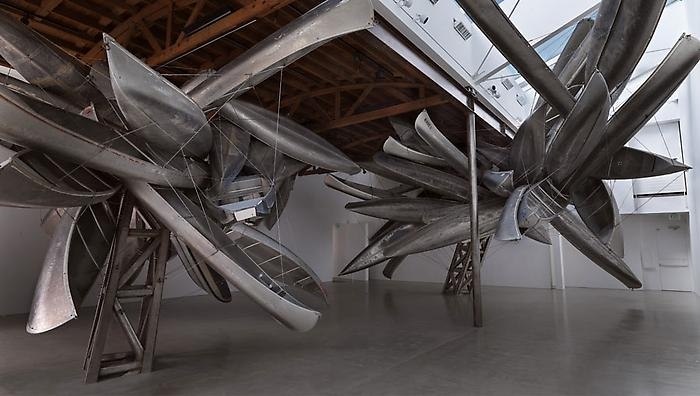 The recent Monochrome series, for example, features numerous and varied canoes and rowboats, arranged around a large steel armature, like many leaves on the limb of a tree. This exhibition featured two new sculptures, which were assembled on site at the gallery. 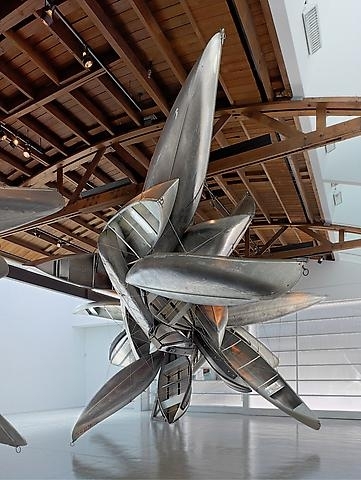 Miyamoto provided structural engineering services for the steel armature, base, and foundation design for Monochrome I and Monochrome II installation at the Gagosian Gallery. 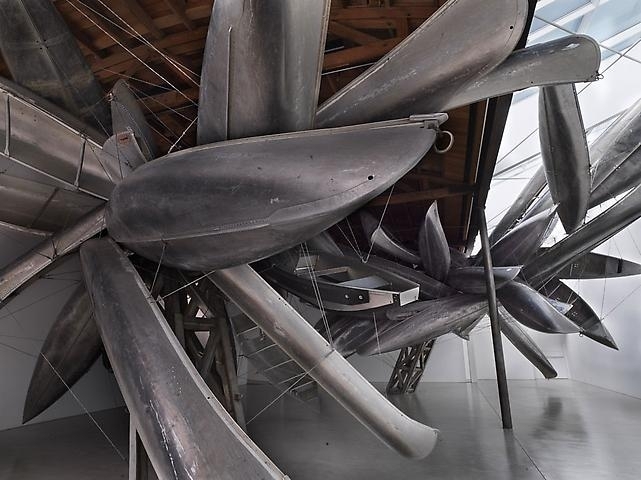 The armature truss was designed to carry various boats attached by cables and steel tees. Due to the unique nature of designing these sculptures that were eventually sold for locations that were to be determined at point of sale, the sculptures had to be designed with worst case scenarios. The scenarios included loading from wind, seismic and snow so it could be easily installed anywhere in the world.